In June 2016, when heavy metal musician David Wu started the RiffShop YouTube channel alongside his friend Harshyt Goel, he was living out of a van and low on income. According to a profile in Jumpcut, the early videos he posted received few likes, several of which came from his mom. A potential career in the online video industry was a long way off. Then, in May 2017, Wu and Goel scored their most successful viral hit up to that point. 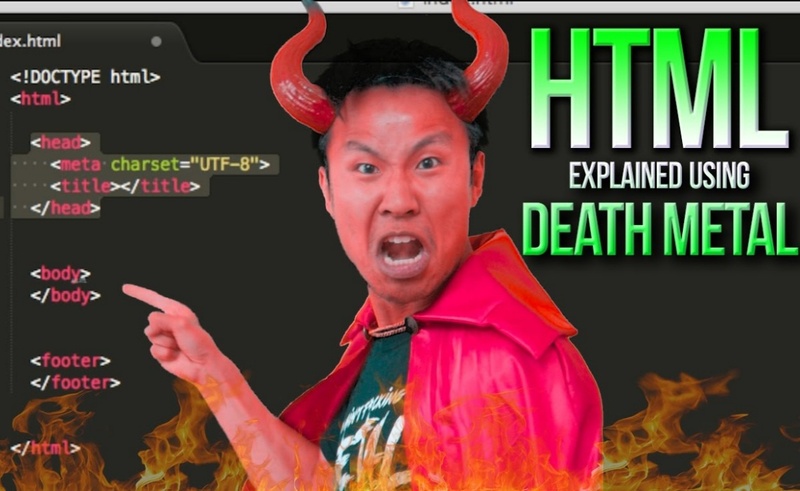 In RiffShop’s breakout video, Wu explains the ins and outs of HTML by writing and performing a death metal song on the subject. That absurd combination proved appealing enough to bring thousands of new fans to RiffShop. The day after Wu and Goel uploaded the HTML video, their channel had 9,037 subscribers. Eight days later, that number had risen to 13,774 — an increase of more than 50%. More importantly, YouTube virality paid massive financial dividends for RiffShop’s co-founders. Today, they’re up to 39,000 subscribers, and they receive $1,994 per video from their Patreon supporters. With that income, they’re able to support a regular release schedule on their channel. And they no longer live out of a van. The HTML video is undeniably fun, but that quality alone does not explain its sudden virality. After all, the YouTube graveyard is filled with quality content. Many creators work as hard as they can to produce the sort of polished work that can help them get discovered, only to remain among the obscure masses. How did two little-known metalheads rise above that fate? How did such a small channel get discovered by such a large audience? To answer that question, we must explore a forum that exerts significant influence on the online video world. It shapes trends, breeds stars, and turns amateur creators into professionals in the span of a single day. Creators who are focused on YouTube, Facebook, Instagram, or Snapchat may not know about it, but Wu and Goel did. They tailored their HTML videos to specifically appeal to the denizens of that forum, and they were repaid kindly for that choice. The forum I’m talking about is Reddit’s /r/videos subreddit. It’s an entity every content creator should know about, especially those who, like Wu and Goel, are looking to put their work on the map. Before we dive into /r/videos’ influence on the online video industry, let’s offer a Reddit crash course to people who are unfamiliar with the platform’s structure and terminology. Reddit, the so-called “front page of the internet,” is divided into individual communities called subreddits. Each subreddit is framed around a single subject, whether it be hockey or Dubuque, Iowa or Cats Inadvertently Swatting Unknown Objects Towards Themselves And Then Freaking Out. If you’re interested in the subject a subreddit offers, you can subscribe to it, at which point its top posts — as determined by the “upvotes” of subreddit users — will appear within your own Reddit feed. For a long time, new Reddit users, as well as Reddit visitors who don’t have accounts, were automatically subscribed to a selection of general-interest “default subreddits,” from which a basic feed could be populated. While the list of default subreddits occasionally changed, /r/videos (subreddits are always notated with the component /r/ in order to differentiate them from Reddit users, who are notated with /u/) held a spot in that array for years. Therefore, even though a generalized feed of popular content has replaced the default forums, /r/videos has one of the largest populations of any subreddit. As of this post, it shows up on 17.4 million Reddit feeds. As one of Reddit’s most-visited destinations, /r/videos has easy access to the front page of Reddit. While the order in which posts appear on the front page is not solely dictated by upvotes, the most-popular /r/videos posts also tend to be among the most popular posts on Reddit, and as a result, they often land near the top of the front page, giving them additional visibility. /r/videos has only 11 rules, the first of which is the self-explanatory “Videos Only” stipulation. When a user posts a clip to the subreddit, it is listed as a new submission, at which point it is eligible to receive upvotes, which will promote it toward the top of the forum, or downvotes, which will bury it. RiffShop’s HTML video became the #1 ranked post on /r/videos; by reaching that position, it earned a spot on the front page of Reddit, alongside all the top posts from the other major subreddits. According to Jumpcut, the channel’s two best /r/videos appearances combined to generate more than 350,000 views. /r/videos is a large community, but what’s most exciting about it is its taste. On YouTube, the small channels with the best chance at discovery are the ones that stick to familiar formats. Adhering to the posting schedules and video runtimes preferred by the YouTube algorithm is always a good idea, as is contributing to the trends, challenges, and other keywords that many users search for. Depart from these strategies, and it becomes more difficult to be seen. 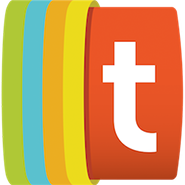 In addition, the forum’s users seem to pride themselves on finding and promoting unknown channels. In 2014, a kid who went by the name Sir Fedora posted an exuberant reaction video after receiving his first-ever YouTube like. Uncovering that clip, a Reddit user asked a simple question: How would Sir Fedora react to a much larger audience? One day later, 1 like became 118,000 likes, and at the end of 2014, Sir Fedora snagged a spot in the annual YouTube Rewind. Another creator who is well-versed in the culture of /r/videos is Andrew Rea, who sometimes uses the name of The West Wing’s Oliver Babish as his digital nom de plume. Rea’s channel, Binging With Babish, was one of YouTube’s breakout hits of 2017. By exhaustively recreating well-known foods from movies, TV shows, and video games, Rea went from 100,000 subscribers to two million and scooped up a pair of Streamy Award nominations — and all of that success started on Reddit. In creating a show designed for Reddit, Rea paid attention to the website’s culture, and his observations matched RiffShop’s. He understood that Reddit users want to share things that are curious, unique, and underappreciated, and he used his “combination of personality and technique and production value” to appeal to that sensibility. Not all /r/videos favorites employ these types of strategies. Some creators are fortunate enough to produce videos that innately appeal to Reddit users without needing to be specifically catered to them. SungWon Cho, whose ProZD channel often ends up on the front page of /r/videos, told Tubefilter that he doesn’t craft his work specifically to the forum, but that it has had a significant impact on his viewership. Look at the front page of /r/videos on any given day, and you’ll find plenty of creators like Cho, who have ended up there on accident. More and more, though, videomakers like Rea are making direct appeals to the forum and its personality. “Reddit has a wonderful sense of accomplishment,” Rea told Tubefilter. “They feel involved in [a creator’s] success because they are — they’re directly responsible for it. There’s this great sense of community that comes from that. When there’s something that’s not being noticed, Redditors like that.” After Binging With Babish hit the big time, Rea received lots of messages from longtime fans, who proudly informed him that they’d been following him since he was first posting his recipes on /r/cooking. Reddit gave Binging With Babish a necessary push on its path toward YouTube stardom, but Rea admits that appealing to the /r/videos crowd “is not going to work for everybody.” As on YouTube, going viral on Reddit requires a significant amount of luck, though creators who share content there can at least take solace in the fact that there’s not as much clutter to cut through. On YouTube, hundreds of hours of videos are uploaded each minute. On /r/videos, meanwhile, only a few dozen clips are submitted each hour. If you make the sort of stuff the Reddit community admires, you have a decent chance of getting noticed there. A trickier issue to combat is what Rea refers to as the Reddit “shelf life.” As more and more Binging With Babish videos reach the /r/videos front page, Rea finds that their impact is slowly diminishing. While Reddit initially drove 50,000 new subscribers to his channel, he now does most of his audience building through the traditional means of a YouTuber, i.e. through consistent posting, collaborations, and a good relationship with the site’s recommendation algorithm. “There’s a definite shelf life for how long Reddit enjoys something,” Rea said. “Reddit moves on, they want something new, they want something fresh.” He cited the example of Lauri Vuohensilta, the Finnish creator who runs the Hydraulic Press Channel. Vuohensilta’s videos, in which he smashes various objects underneath his powerful hydraulic press, became the flavor of the month in /r/videos in April 2016. His channel went wild, going from zero subscribers to one million in just two months. Eventually, though, the upvoting public grew tired of the hydraulic press, and the growth of Vuohensilta’s channel has since abated considerably. Case studies like RiffShop and Binging With Babish demonstration the power of /r/videos to turn amateur creators into thriving professionals, and there is still time for other newcomers to experience that effect for themselves. Though Reddit is more than 12 years, its relationship with the online video community hasn’t yet solidified. Last year, Reddit launched video ads and an in-house video player, two steps that could bring more native content to its shores. Advertisers are also launching their own experiments within the Reddit community. In 2016, a recently-premiered cartoon pilot called Final Space received more than 3,000 upvotes and landed on the front page of /r/videos. Nearly two years later, that pilot has grown into a full-fledged TV series, and in promoting it, broadcaster TBS made sure to give back to the community that put Final Space on the map. The show’s first episode premiered on Reddit 11 days before it came to TV, and its creator, Olan Rogers, came to the /r/television forum to answer fan questions in one of Reddit’s “Ask Me Anything” segments. The state of video culture on Reddit is still fresh, exciting, and new. It’s a place where all sorts of creators, ranging from pop culture chefs to nerdy metalheads to anime-loving voice actors to melodious history buffs, can become local champions. Perhaps, as forums like /r/videos grow, they will become more saturated, making it tougher for individual upstarts to stand out. But that hasn’t happened yet. With a little luck, it is possible to tailor content to Reddit’s specific interests and receive a warm welcome in return. From there, viewers on platforms like YouTube become easier to reach.